This fine vintage Elizabeth II sterling silver pint mug has a plain circular waisted form onto a spreading, stepped collet foot. 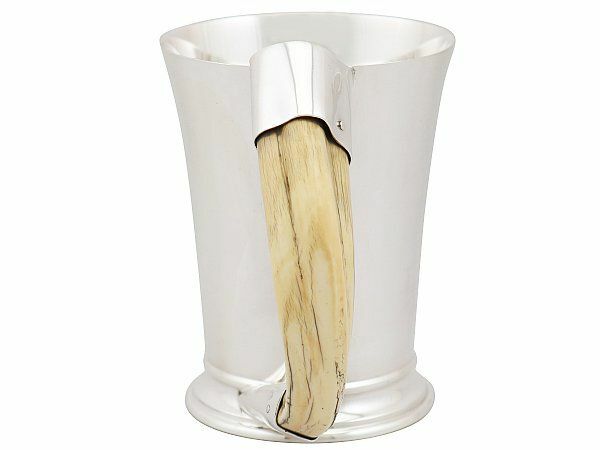 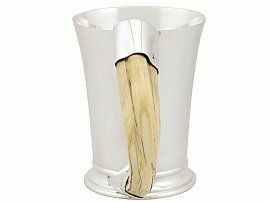 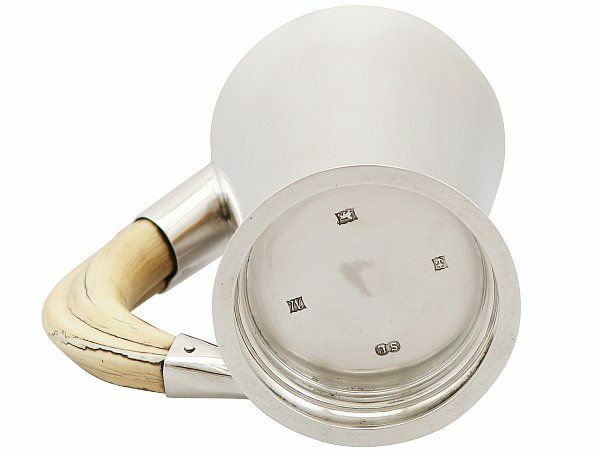 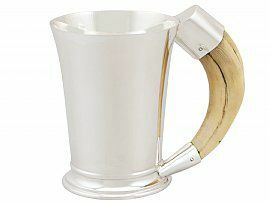 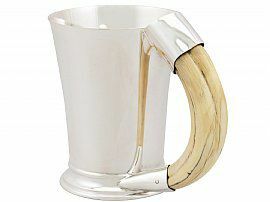 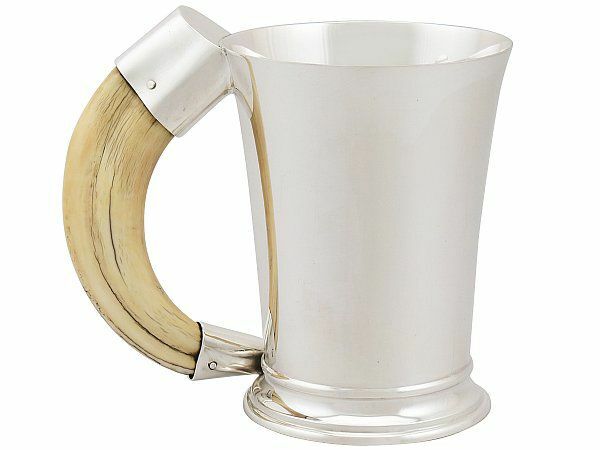 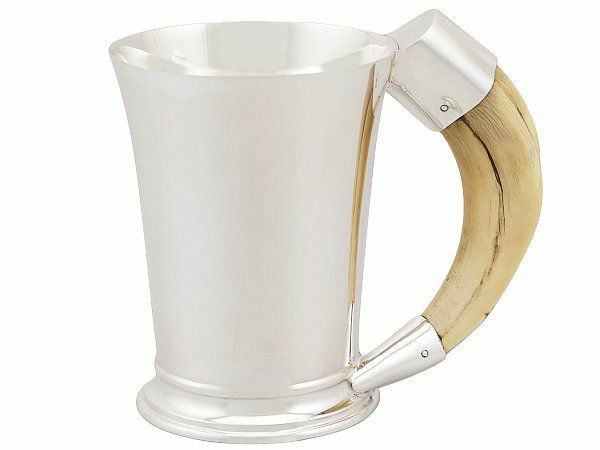 This silver pint mug is fitted with a fine and impressive narwhal tusk* handle with shaped sterling silver sockets. 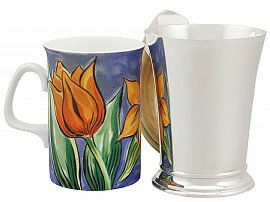 This vintage sterling silver pint mug is an exceptional gauge of silver, fine quality and in exceptional condition. 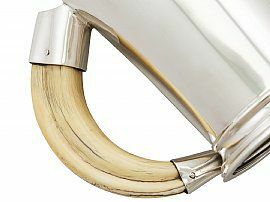 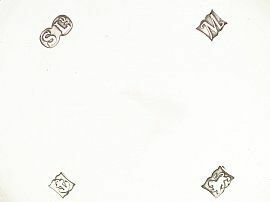 There is some crazing to the tusk handle as to be expected, in keeping with age; this does not affect the integrity of the piece. 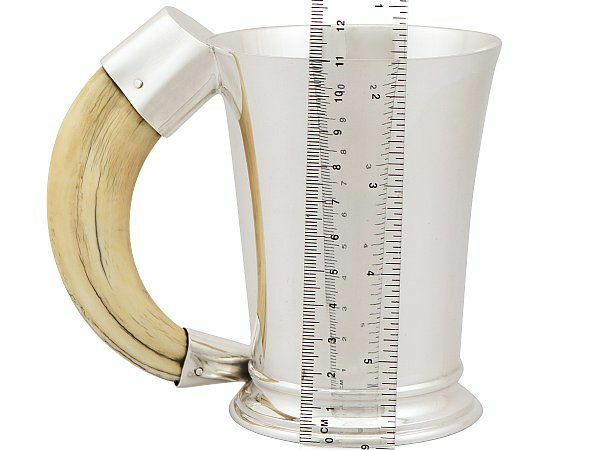 Length from back of handle to rim 13.7cm/5.4"